From the Dept. 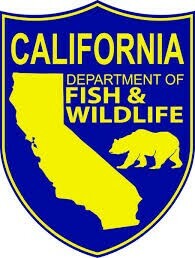 of Fish & Wildlife – The Wildlife Conservation Board (WCB) has approved approximately $13 million in grants to help enhance flows in streams throughout California. A total of 11 stream flow enhancement projects were approved at an April 4 meeting of the Stream Flow Enhancement Program Board. The approved projects will provide or lead to a direct and measurable enhancement of the amount, timing and/or quality of water in streams for anadromous fish; special status, threatened, endangered or at-risk species; or to provide resilience to climate change. Funding for these projects comes from the Water Quality, Supply and Infrastructure Improvement Act of 2014 (Proposition 1). The Act authorized the Legislature to appropriate funds to address the objectives identified in the California Water Action Plan, including more reliable water supplies, the restoration of important species and habitat, and a more resilient and sustainably managed water infrastructure.